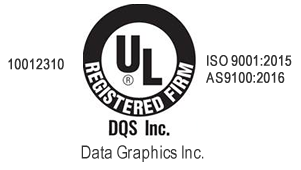 Transparent Labels and Overlays | Data Graphics Inc. Transparent Labels and Overlays | Data Graphics Inc.
Are you looking for a vendor to produce high-quality transparent labels? 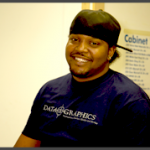 Data Graphics, Inc. is here to help. For over thirty years we have been producing high quality transparent labels and graphic overlays with transparent windows. 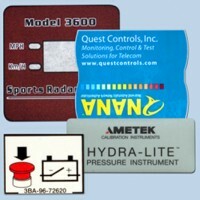 Labels with transparency are used in a variety of military, commercial, and industrial applications. Our custom transparent labels are also used by OEM manufacturers, aerospace companies, telecommunications industry, and the medical industry. These Overlays with transparent windows are typically found on testing equipment, switch plates, monitoring equipment, and many hand held devices where information needs to be visible. If you need a transparent label that needs a custom shape or color, Data Graphics has your solution. We can die cut your labels into any shape. Whether it be a circle, square, oval, star, rectangle, or you own mark of identification, we can meet your specification. We can also match your colors with our pantone matching and four-color process. There are a variety of uses with labels and graphic overlays with transparent windows. Letting light shine through or letting the background of the surface they are placed upon to shine through allows for a versatile label that displays information clearly. Many uses include ways to communicate product information, operation times, operation information, and numbering information.